Coming October 26, 2018. A complete wellness gathering. 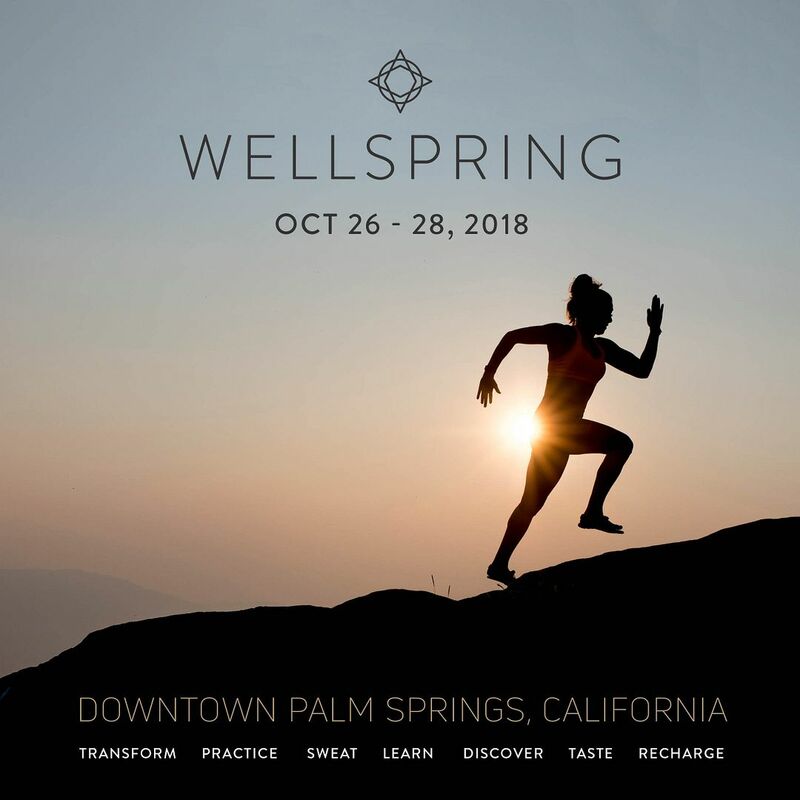 Wellspring is a 3 day event that promises to address all aspects of wellness: personal, social, and global. From the folks that bring us the Wanderlust events, comes this inaugural concept hosted in Palm Springs, California. Features include 150 different classes, lectures, workshops and panels across fitness, holistic medicine, health, social change, conscious capitalism and more, one of the world’s largest wellness exhibitions, as well as yoga, meditation and other participatory activities. Join Wellspring to help foster healthy individuals, a healthy society and a healthy planet.